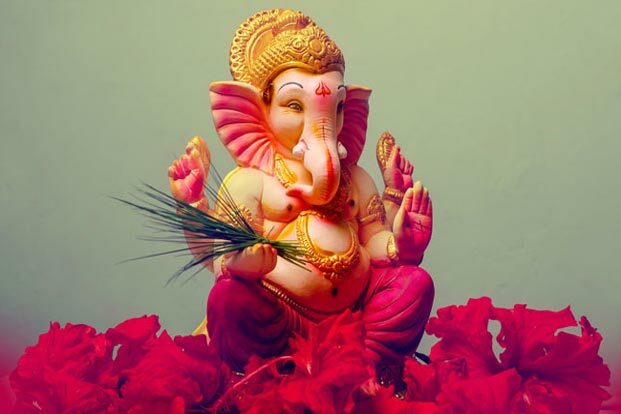 Ganeshotsav – Ganpati Bappa Morya! Concealed within his fortress, the lord of happiness sees all. His gaze pierces cloud and earth. Ganesh Chaturthi is celebrated as birth anniversary of Lord Ganesh. On Ganesh Chaturthi, Lord Ganesh is worshipped as the god of wisdom, prosperity and good fortune. 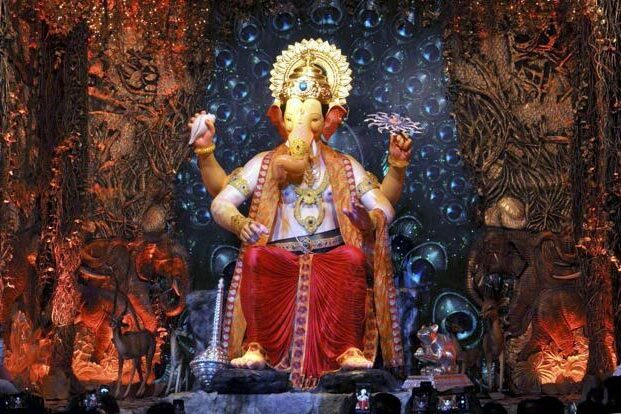 The festival is also known as Vinayaka Chaturthi and Ganeshotsav. A ten-day festival, it starts on the fourth day of Hindu Lunisolar calendar month Bhadrapada. During the Ganesh Chaturthi festival, idols are made in great numbers. These are usually made out of clay or metal in all sizes; some of them are even as big as 20 ft. People purchase deities of Lord Ganesha and put them in their homes and worship them for one to ten days. Ganesh chaturthi starts with the arrival of ganesh at home which is also called ganpati sthapana. 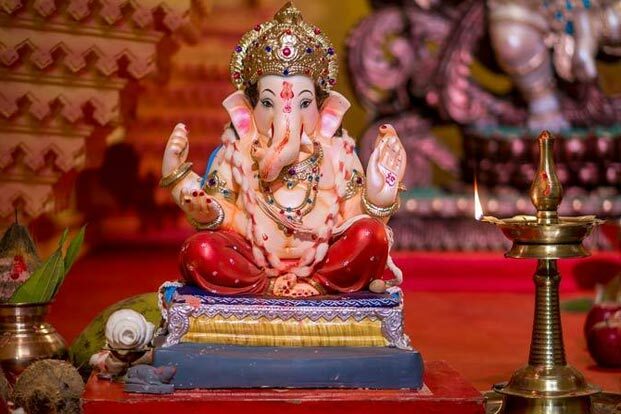 According to Drik Panchang, Ganesh puja is ideally preferred during Madhyana as it is believed that Lord Ganesha was born during Madhyana Kala. Madhyana Kala is equivalent to midday according to Hindu division of the day. Ganpati sthapana and Ganpati puja on Ganesh Chaturthi are done during Madhyahna part of the day as it is considered the most appropriate time for Ganesh Puja. Lord Ganesha is worshipped with 16 rituals along with chanting of Puranik mantras during the Ganesh Chaturthi puja. It is believed that one should not sight the moon on Ganesh Chaturthi. Sighting moon on Ganesh Chaturthi creates Mithya Dosham or Mithya Kalank which means false accusation of stealing something. Ganesha Visarjan can be done on the same day of Ganesha Chaturthi after Ganesha Puja. The day of Anant Chaturdashi is the most significant day to perform Ganesha Visarjan, many families do it on the 3rd or 5th or 7th day from the day of Ganesha Chaturthi. It is important to note that all these days are in odd numbers. Even the most important day of Ganesha Visarjan, which falls on Anant Chaturdashi day, is the 11th day from the day of Ganesha Chaturthi. On the eleventh day the statue of Lord Ganesha is immersed into water body, preferably in a river, lake or the sea. 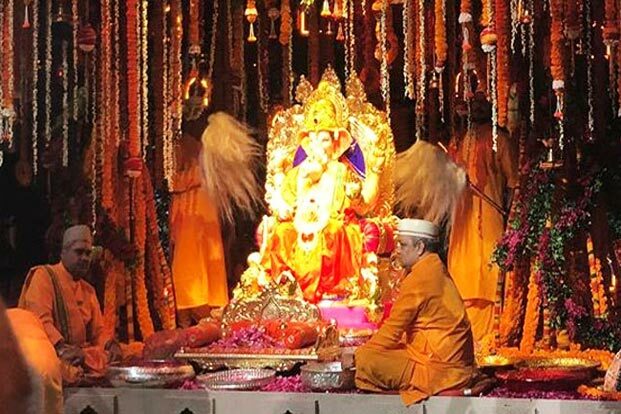 After the final offering of coconuts, flowers and sweets, the statues of Lord Ganesha are taken to the water body through the street procession with much fanfare. Ganeshotsav or Ganesh-Utsav, which begins on Ganesha Chaturthi, culminates on Anant Chaturdashi. The homes are brightly lit for the ten days. People bring in the Ganesha idol with famous dhols, music and dance. Although many are saddened to immerse the idol on the last day, but people show equal enthusiasm during visarjan with a hope in their heart that they will welcome the Lord next year.